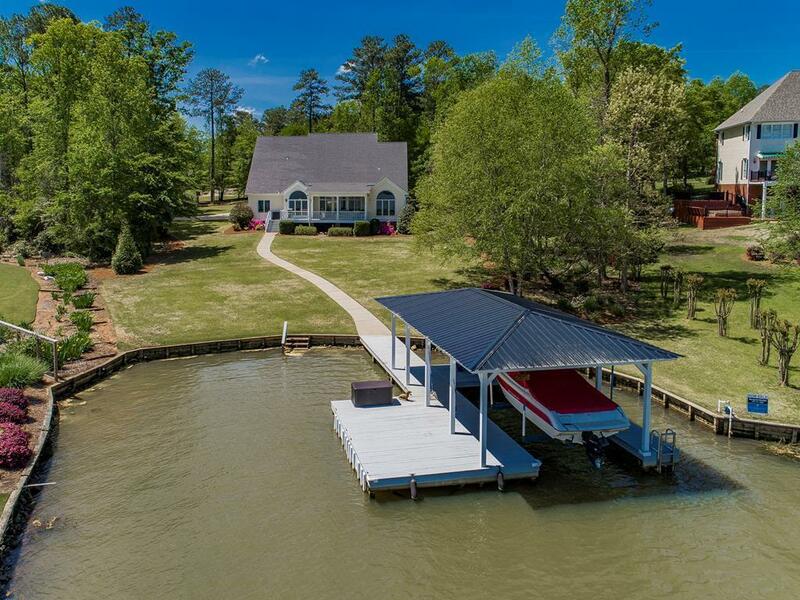 This stunning Southern Living home graces one of the finest streets on the lake. Prime location. 4/5 BR 3 BA home w/ open floor plan won't disappoint. 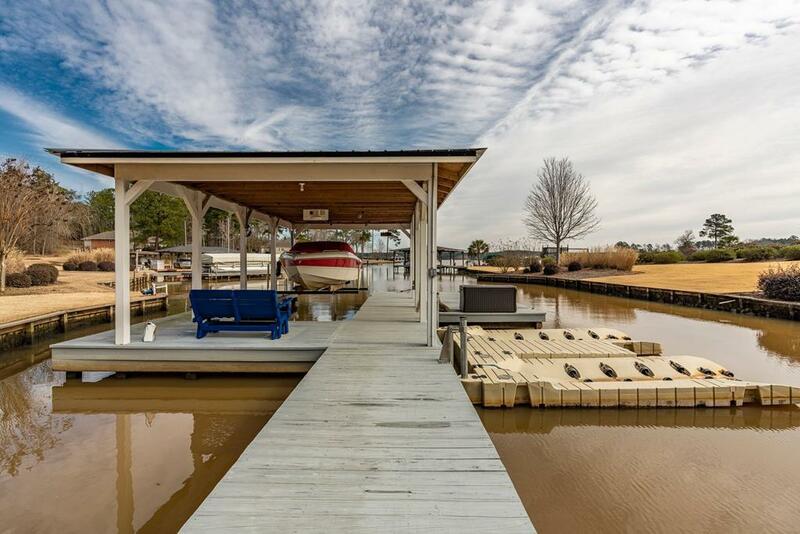 Lakeside master on main w/gorgeous brand new bath and shelving system 2nd BR on main also has fantastic lake views. Truly beautiful hardwood floors throughout main level. 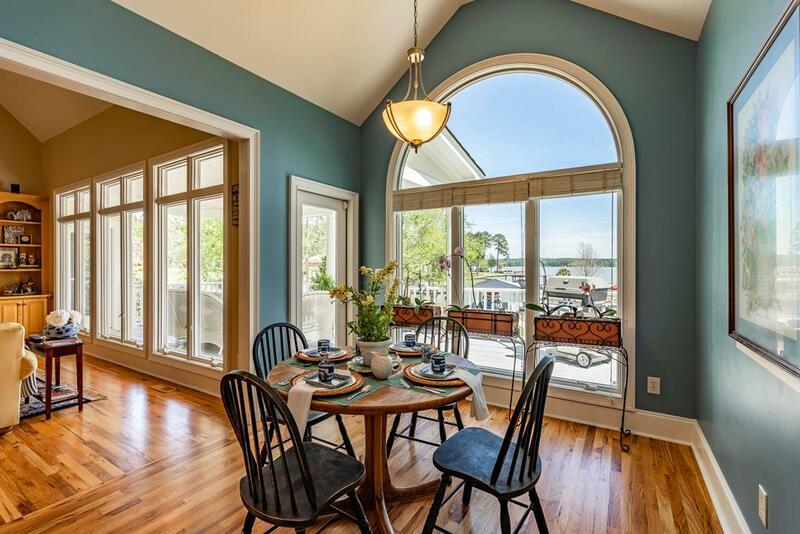 Kitchen opens to family room - arched doorway and windows, beautiful staircase, built in shelving, generous windows showcasing more lake views are only a few of the perks. This home has elegance and fun all wrapped into one! Upper level offers two more bedrooms and a fabulous oversized bonus room-perfect for bunk/ hobby/ man cave etc. 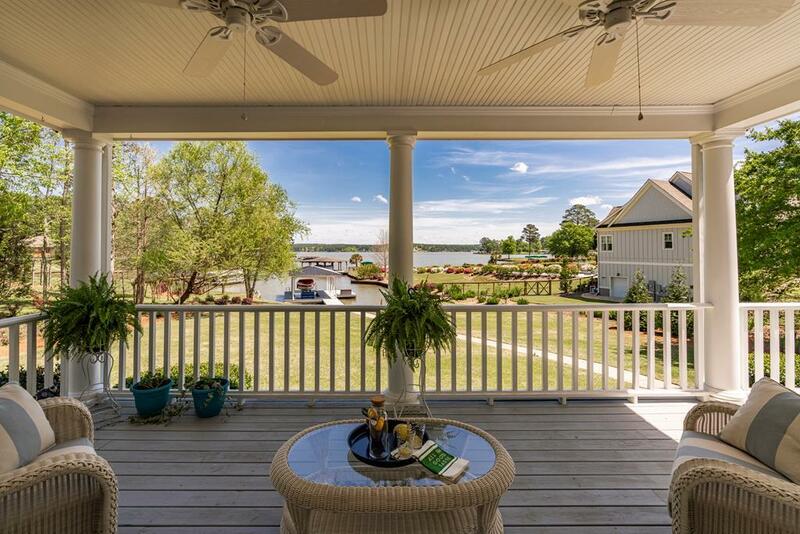 Lakeside porch is southern living at its finest. Attached garage. Boathouse - Fee Simple. Boat and some furnishings negotiable.